A simple way to create unique and original Categories for different Elements with in Breakdowns. 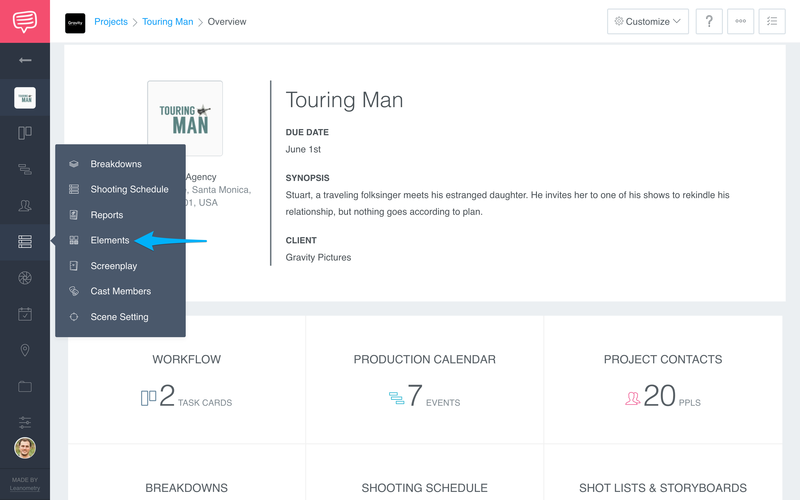 When you use StudioBinder to tag elements your not just limited to the existing categories. In a few easy steps you can create your own color coded categories. 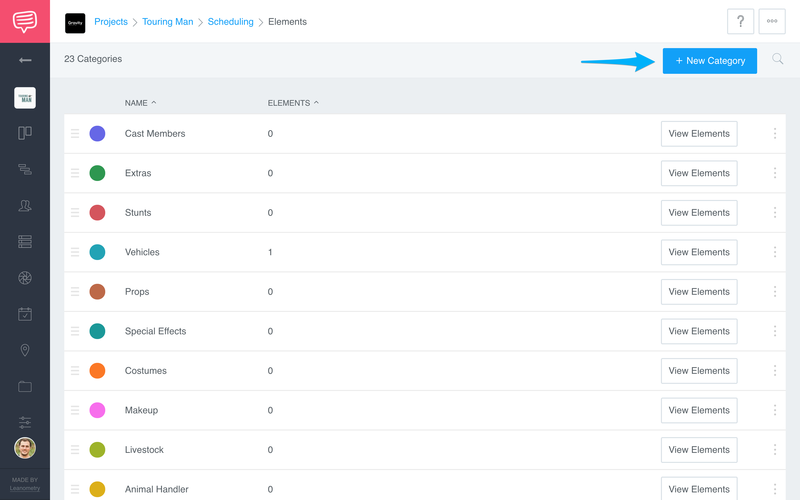 In your Scheduling sidebar menu click Elements. Locate and click New Category in top right hand corner of the elements web page. 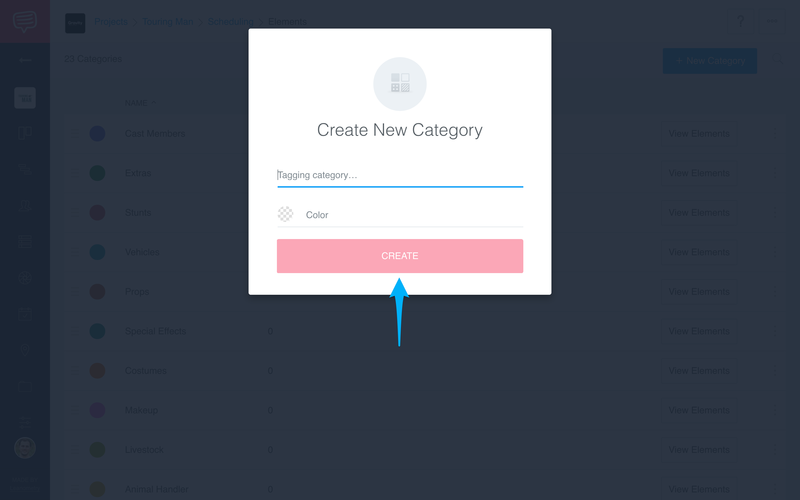 Give your category a unique name and color, then click Create.